Need an awesome way to move your car or toy? We have lots of trailers, but check out this custom Featherlite Trailer. I have put together a couple of 360 images and a video. You can scroll around, zoom in and out. This trailer has a side that opens up making it easier to get in and out. Explore! If you haven’t had the opportunity to see a Mustang GT 350 or a Focus RS in person, you should swing by and take a look at them. These are great cars. While we are the largest truck dealership in our region, we are known for selling and servicing performance vehicles as well. And these are performance vehicles. We have sold quite a few of these and they don’t disappoint. 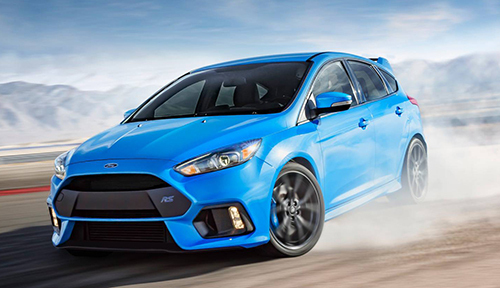 The RS’s appeal is a 350-horsepower, 2.3-litre turbocharged inline-four that delivers and 350 lb-ft of torque to all four wheels by a crisp six-speed manual in a 3,400 lb package with a great looking spoiler to help keep the back end planted firmly on the ground! 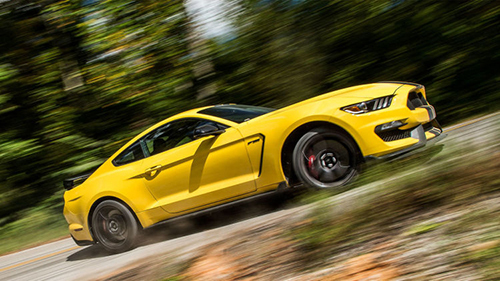 The Mustang GT 350’s 526 hp and 429 lb-ft of torgue and zero to 60 in 4.3 seconds is a definite attention grabber, but so is the mean sound and stance with a suspension to go with it! Don’t just take our word for it, come down and take a look at them!